Stochastic terrorism is not a fringe concept. 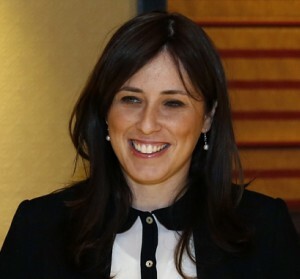 It is a known terrorist modality that has been described at length by analysts. It produces terrorism patterns that are known to any member of Congress or any presidential candidate who has ever thought deeply about national or domestic security issues . . .
Why do terrorists come from Islam? That question is too often asked rhetorically. The answer that is implied is that there is a “clash of civilizations” and that Islam has been plaguing the West with terrorism ever since its birth in the seventh century. The question usually hides an anti-Islamic bigotry born of ignorance of both Islam itself (and that includes the very nature of religion) and history. I have answered the question “why terrorists are generally Islamic” in The Origins of Islamic Militancy — for those seriously interested enough to truly understand. Of course the fact is that throughout the 60s, 70s and 80s the only terrorists most of us ever heard about were fighting for national liberation and Islam per se rarely if ever entered the picture. 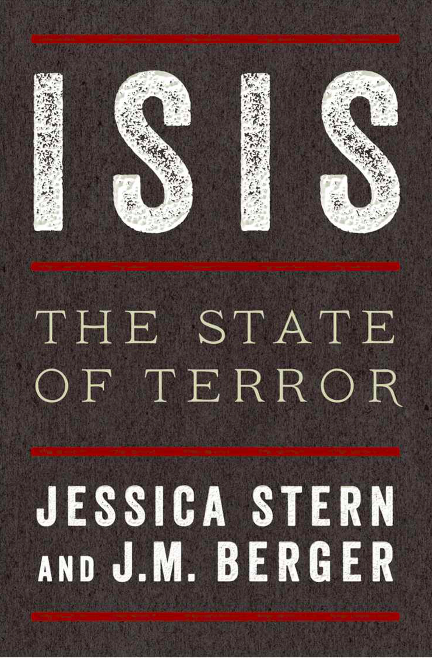 Islamic terrorism is unquestionably a new phenomenon that has burst on the scene quite recently in historical terms. I have added to my original post, The Origins of Islamic Militancy, since its first posting. I have added a section on global jihad and the author of this concept, Abdullah Azzam. I have one more section to add to this post and that will be Osama bin Laden’s contribution and what it was, historically, that led to his particular slant on what jihad should be all about. I will notify interested readers when I complete that section. 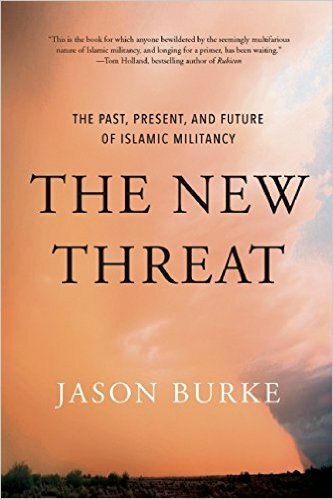 Based on my reading of the first chapter of The New Threat: The Past, Present, and Future of Islamic Militancy by Jason Burke. . . . The turning point was in October, 1981, argues Jason Burke. 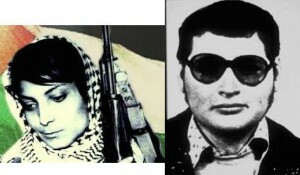 Prior to the 1980s the most well-known terrorists were Leila Khaled and Carlos the Jackal. Religious agendas were very rarely found in the mix of ethnic, nationalist, separatist and secular revolutionary agendas. History is necessary to enable us to understand. Burke points to the century between 1830 and 1930. These years saw the Russians, the Han Chinese and especially the Europeans invade and subjugate the Muslim regions from Morocco to Java, from the central Asian steppes to sub-Saharan Africa. a profound belief that they were acting in defence not only of their livelihoods, traditions and homes but of their faith. The superior technology of the foreign powers guaranteed the defeat of the rebels but these defeats were interpreted by the devout as evidence that they had neglected to please God and lost his favour. Though by the twentieth century most movements had withered away a few remained active: British India’s North-West Frontier, Italian Libya, Palestine. The Afghans were not ruled by foreigners but in the 1920s they did throw out their king who had attempted to introduce foreign ways into his country. Others chose withdrawal to open revolt, and to isolate themselves from the corrupting influences of alien cultures: e.g. the Deobandi school of India. Some, however, fully embraced Western ideas in a spirit of rivalry. They sought to out-do their invaders: e.g. the University of Aligarh. “I liked Grandpa. Most of all, I used to delight in watching him slowly tie his turban, wrapping his head with a long piece of cloth, as befitted a humble Muslim, though he also seemed like a Mogul monarch. 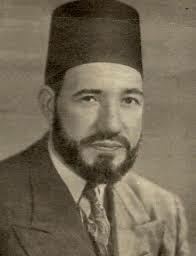 (Muslim scholars and kings both wore the turban in veneration of the Prophet Mohammed.) Whenever Grandpa visited Britain to teach Muslims about spirituality, my father accompanied him to as many places as he was able. My father believed that spiritual seekers did not gain knowledge from books alone, but learnt from what he called suhbah, or companionship. True mastery of spirituality required being at the service, or at least in the presence, of a noble guide. Grandpa was one such guide. . . . 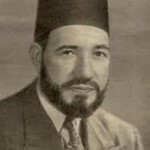 In Egypt, 1928, Hassan al-Banna founded a very similar group, the Muslim Brotherhood. 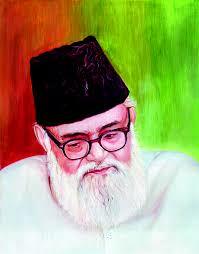 Like the South Asian Jamaat Islami, it combined a conservative, religious social vision with a contemporary political one. For its followers, the state was to be appropriated, not dismantled, in order to create a perfect Islamic society. This approach was later dubbed Islamism. 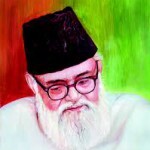 There were others across the Muslim world who rejected the compromise and non-violence of Jamaat Islami and the Muslim Brotherhood as the means to achieving their common goals. Something more important was happening within the newly independent nations themselves: “immense demographic change”. Egypt’s President Sadat represented to many the worst of these changes. 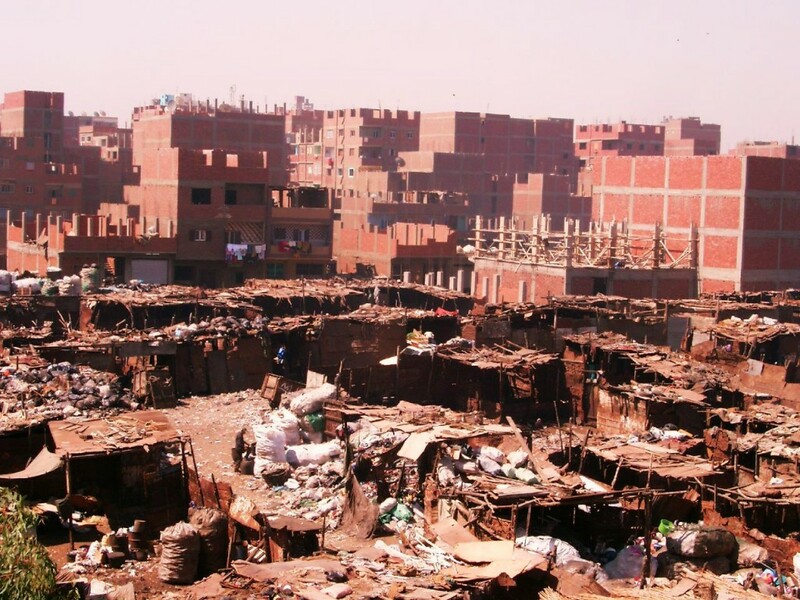 Sadat was opening up Egypt to the new capitalism and foreign investment that accelerated the extremes of the rich-poor divide. Middle incomes declined dramatically. Amidst those swayed by Western influence nationalist and socialist commitments were those who turned to their religion in various ways, some withdrawing into mysticism, for example, others looking for wider change. 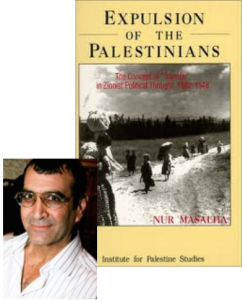 Islamism was spreading through the universities and professional bodies. I have posted before on Sam Harris’s and Jerry Coyne’s ideologically driven dishonest and ignorant attacks on the researchers who do the hard work of understanding the causes of terrorism. Here’s part of Scott Atran’s response to the most recent falsehoods and distortions by Jerry Coyne: Once again Scott Atran exculpates religion as a cause of terrorism. Dismaying how some leading public intellectuals abuse their status and presume to be experts outside their specialist area and exploit the murderous acts of others as an opportunity to propagate their pet anti-theistic hobby horse. I have discussed the matter at length in the historical record (about 7 percent of recorded wars since the punic wars have been explicitly religious wars, and when non-religious conflicts take on a religious cast they also tend to endure and resist exit strategies). I have also written empirical papers showing the role of religious claims . . . in faith in the strict sharia of the Caliphate as one of 2 key motivators for volunteers for the Islamic State. Yet, it remains a fact that the principal factors that predict actual involvement in violence concerns social network factors. I invite then to accompany me to the frontlines in Iraq, Syria and elsewhere, or even to the banlieues of Paris, to see for themselves what is driving people to fight and die. And to discuss, as I regularly do, with military and political leaders how in fact we can destroy ISIS and its ilk. It certainly will not be with the mindless diatribe against “religion” that produces exactly the kind of knee-jerk reaction that the Islamic State so conscientiously seeks, as outlined in tis manifesto Idarat at-Tawahoush (The Management of Savagery-Chaos,) and in the article in its online magazine Dabiq, titled “The Gray Zone,” whose goal is to eliminate any shady area between believer and non-believer, so as to polarize sentiment towards war. Interestingly, Lataster points out that the only serious attempts by scholars to publish arguments for the historical existence of Jesus — those by Erhman, Casey and McGrath — have done outside the scholarly peer-review process. On the other hand, the two serious attempts by scholars to publish reasons to doubt the historicity of Jesus — Richard Carrier and Raphael Lataster — have gone through the scholarly peer-review process. The irony of that little datum is not lost on anyone who is aware of the complaints of “historicist scholars” (those arguing for the historicity of Jesus and against the mythicist hypothesis) that mythicism does not subject itself to scholarly peer-review. What academic disease does this signify? See Richard Carrier, “McGrath on the Amazing Infallible Ehrman” (25 March 2012); “McGrath on OHJ: A Failure of Logic and Accuracy” (5 March 2015); “McGrath on the Rank-Raglan Mythotype” (6 March 2015). Possibly that series will continue. His false claims about the content of my book are documented in Richard Carrier, “In Which James McGrath Reveals That He Is a Fundamentalist Who Has Never Read Any Contemporary Scholarship in His Field” (11 September 2015). He did the same thing in his faulty review of Proving History. See: Richard Carrier, “McGrath on Proving History” (10 September 2012). McGrath has done this so routinely now that I have had to conclude he is deliberately lying. For he cannot possibly be that incompetent. For all of these, see Richard Carrier, “Okay, So What about the Historicity of Spartacus?” (5 July 2015). McGrath has only published responses to historicity on his personal blog (Exploring Our Matrix), and in an online trade publication (Bible & Interpretation) that is also not peer reviewed. In these open venues he has made such embarrassingly false claims about the ancient world in defense of the historicity of Jesus as to deeply call into question the competence of his opinion in the matter. And he all too often makes wildly false claims about the arguments in my book, rather than addressing what it actually says. McGrath evinced this behavior even before reading my book. For example, he argued confidently that no Christians would erect inscriptions promoting their gospel because only government officials erected inscriptions. That this is wildly not true is bad enough, and that he wouldn’t know it’s untrue is worse, but that he was so arrogant in his ignorance that he never even thought to check and make sure before resting his argument on it, is worst of all. And indicative of the problem. 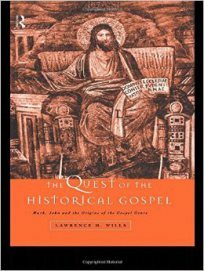 Historians who would defend the historicity of Jesus aren’t doing their jobs as historians. And all too often, they literally don’t know what they are talking about. This is commonly observed in the frequency with which historicists claim the evidence for Jesus is as good as we have for Socrates, Alexander the Great, Spartacus, and Julius and Tiberius Caesar. That they would be so ignorant as to think that was true is shocking. But more shocking is that they didn’t even check before asserting it. What academic disease does this signify? The example of inscriptions illustrates the other problem as well. McGrath falsely implied that I endorse the lack of early inscriptions as an argument for the non-existence of Jesus. In fact I have publicly rejected that argument and explained why it doesn’t work (there are many reasons Christians would fail to erect such inscriptions even if Jesus did exist; just not the reason McGrath gave). McGrath routinely makes false claims like this about what I or my book argue. Many far more galling than this. Such as claiming my book relies on conspiracy theories, when in fact my book repeatedly denounces them. Or claiming I don’t adduce any allegorical meanings to explain Gospel pericopes but just assert they must have them, and using that as an argument against the merits of my book, when in fact I devote almost an entire chapter of the book to doing that, in fact not just adducing such meanings, but in many cases arguing for them, and citing peer reviewed scholarship that does the same – none of which facts McGrath informs his readers of. Or claiming I didn’t make an argument for a conclusion but just asserted it in the book (such as that a given miracle story is not likely to be true, or that a given word can too easily have come from a targum to be certain it came from a source about Jesus), when in fact, in every case, the book contains an extensive argument for that conclusion. An argument he fails to tell his readers about (and thus certainly offers no rebuttal to). 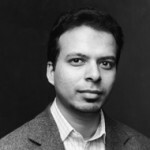 It should be a fundamental requirement of competent and honest scholarship to correctly represent the arguments of anyone you disagree with, and rebut their actual arguments, not arguments they never made, or conveniently distorted variants of arguments they did make, or to falsely claim they didn’t make any arguments to rebut. It is a disgrace for a scholar to use falsehood like this. Worse even to do so as arguments against a book they are reviewing. Yet these aren’t the only instances. McGrath does this a lot. Why? If historicity is so evidenced as to be certain, why do arguments against it have to be misrepresented to rebut them? Is it because the actual arguments can’t be rebutted? So fake arguments have to be contrived to knock down instead? That does not make it sound like historicity is so certain to me. Lataster, Raphael (2015-11-12). 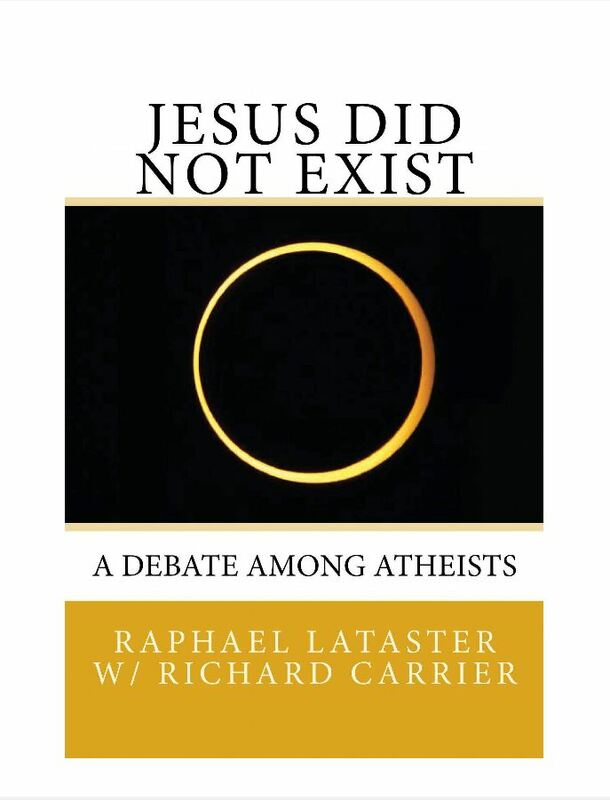 Jesus Did Not Exist: A Debate Among Atheists (Kindle Locations 114-147). Kindle Edition. We must fight their growing power any way, anywhere, we can. With words, with weapons, with sincere efforts at warm embrace for those who might otherwise be pulled or pushed into their dark world that would exterminate all who dare be free and different. Even ground forces would likely not be enough to completely destroy ISIS. Absent a military invasion that would somehow— improbably, magically— transform both Iraq and Syria into truly viable, pluralistic states in which Sunnis and Shi’a both feel secure, ISIS would likely remain, at least as a terrorist group, for many years to come. Beyond the necessity to oversee political change in both Iraq and Syria, a tall order indeed, the international impact of ISIS must also be considered, as it inspires oaths of loyalty and acts of violence in nearly every corner of the globe. As with its military might, ISIS’s potential to wreak terrorism has been limited until now, although the alignment of regional terror groups such as Jund al Khalifah in Algeria and Ansar Bayt al Maqdis in Egypt raise serious concerns going forward. 6 Millenarianism involves the expectation of sweeping societal change, possibly as a result of the apocalypse. The broader problem is that jihadism has become a millenarian movement6 with mass appeal, in some ways similar to the revolutionary movements of the 1960s and ’70s, although its goals and the values it represents are far different. Today’s radicals are expressing their dissatisfaction with the status quo by making war, not love. They are seduced by Thanatos rather than Eros. They “love death as much as you [in the West] love life,” in Osama bin Laden’s famous and often-paraphrased words. In this dark new world, children are seen to reenact beheadings with their toys, seduced by a familiar drama of the good guys killing the bad guys in order to save the world. Twitter users adopt the black flag by the tens of thousands. And people who barely know anything about Islam or Iraq are inspired to emulate ISIS’s brutal beheadings. ISIS has established itself as a new paradigm, one that is more brutal, more sectarian, and more apocalyptic in its thinking than the groups that preceded it. ISIS is the crack cocaine of violent extremism, all of the elements that make it so alluring and addictive purified into a crystallized form. ISIS’s goals are impossible, ludicrous, but that does not mean it can be easily destroyed. Our policies must look to the possible, which means containing and hopefully eliminating its military threat and choking off its export of ideas. 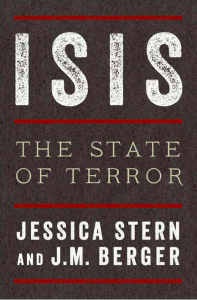 But certainly the history of ISIS and al Qaeda before it show that overwhelming military force is not a solution to hybrid organizations that straddle the line between terrorism and insurgency. In early 2014 I published On the Historicity of Jesus: Why We Might Have Reason for Doubt. It passed professional peer review. It was published by a major, well-respected academic press that specialized in Biblical Studies, Sheffield-Phoenix, the publishing arm of the University of Sheffield. And it is the first book of such tested merit to argue that Jesus probably did not exist. It argues instead that Jesus began life as a revelatory archangel, and was transferred to human history decades later through the writing of myths for educational, missionary, and propagandistic purposes. This would have proceeded, in both cause and procedure, much like the invention of the life and teachings and miracles of Moses, whom the mainstream Academy now concedes probably did not exist. 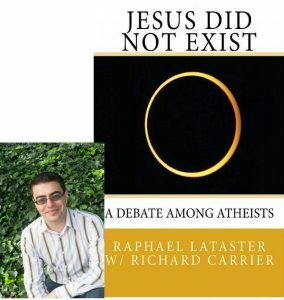 Now late in 2015, the book you hold in your hand, Jesus Did Not Exist: A Debate Among Atheists by Raphael Lataster, contains the first thorough and expert treatment of my argument in print. In fact his chapter summarizing my book is the best brief summary I have read anywhere. . . . So why does this keep happening, and on this scale? 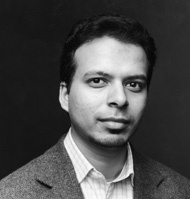 From The Daily Beast, by Maajid Nawaz, Paris Proves We’ll Never Kill Enough Jihadists to Stop Terror . . . . The answer is not a comfortable one. Jihadist terrorism is alive and kicking. And though we must continue to put terrorists on the back foot by targeting their leadership, we will never kill our way out of this phenomenon. In January 2013, after Bin Laden’s death but long before ISIS’s emergence, my counter-extremism organisation Quilliam declared (to choruses of raised eyebrows at the time), “It’s a full blown jihadist-insurgency, stupid.” And no insurgency is sustainable, or even possible, without a level of residual support for its core ideological aims among the core communities from which it draws its fighters. Jihadism has well and truly taken root among an entire generation of angry young Muslims. This is particularly the case in Europe, where thousands have left to join ISIS. This insurgency is incredibly hard to tackle, because its recruits remain invisible in our very own societies, born and raised among us, fluent in our languages and culture, but full of venom for everything they have been raised into. Though London is by now well overdue a similar attack, a question that could legitimately be asked is why does France seem to be bearing the brunt of such coordinated jihadist terror, up until now most potently symbolised by the Charlie Hebdo attacks. Unfortunately for France, though not unique to it, between 5 and 10 percent of its population is Muslim. Real, serious problems with economic and social integration prevail in this group, fuelling resentment on a scale that baffles most expert policy makers. Even if hundreds, out of millions, take this resentment to its deadly conclusion, France has a huge problem on its hands, as we saw on Friday. But so do we all. Recognizing this is not to stigmatize every European or Western Muslim—the vast majority of whom are not, of course, jihadists—but it means being realistic about exactly where the challenge is coming from, and what the challenge is called: Islamism. Up until now the bitter truth that our Muslim populations have been subjected to decades of sustained Islamist propaganda by those who live among them has gone almost totally ignored. The long term solution cannot continue to ignore this truth, and cannot continue to neglect those few Muslims, and others, attempting to take on this threat within their own communities. For now, my guess will be that these attacks will only aid the anti-immigrant rhetoric of France’s far right, sweeping xenophobes to prominence, further polarising communities, which for good or for bad, will only sustain the process of radicalisation even further. This is so despite the fact that France has taken hardly any Syrian refugees, and Germany, which has taken tens of thousands, has yet to be hit as hard as France has. European born and raised jihadists have so far posed the biggest problem, not immigrants.